This is a homemade salsa recipe with all fresh and raw vegan ingredients, so it's perfect for the summertime when everything is in season. When tomatoes are plentiful, and time is of the essence, simple and quick recipes like this one come in quite handy. Fresh, homemade salsa tastes worlds better than the store-bought varieties. But that doesn't mean you will always have all of the ingredients on hand. With nothing but fresh chopped tomatoes, garlic, lime, onion and a few seasonings, this is the perfect vegetarian, vegan and gluten-free salsa, and is even suitable for a raw vegan diet as well. If you need a raw vegan appetizer, snack or light meal, try this raw vegan salsa, served with either chopped fresh veggies or homemade raw vegan flax crackers. New to eating raw or just exploring the raw food diet? Here's some simple tips to get you started eating raw. In a large bowl, combine the chopped tomatoes, minced garlic, sea salt and lime. Next add in whatever optional ingredients you are choosing to add in: fresh minced cilantro, minced red onion, ground cumin, chili powder, cayenne pepper and minced jalapeno pepper or other chili pepper. Mix gently to combine well, then chill until ready to serve. 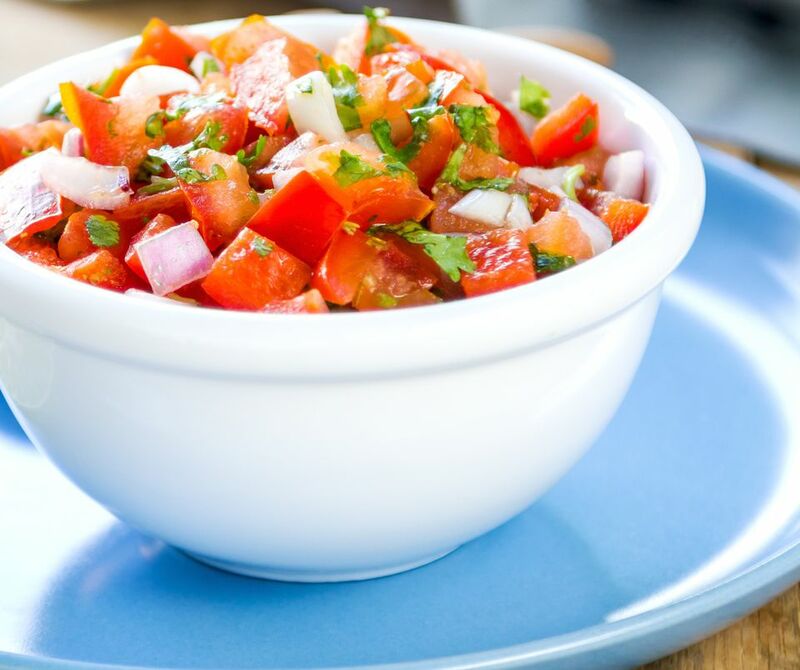 If you can prepare this fresh homemade raw salsa in advance, all the better, to allow the flavors to fully develop. Chill for at least an hour, if you can, and add a bit more fresh chopped cilantro on top just before serving. Enjoy your simple and easy homemade raw salsa. Serve your raw salsa with these homemade raw vegan flax crackers, or these homemade raw vegan corn chips or alongside (or inside) these raw vegan burrito lettuce wraps.